The M1 Finale has a frame of hand inlaid 24k gold koftgari and an stunning inlay of damacus steel. The smooth Damascus steel is hand forged by Chris Marks in the US and is hand contoured for a smooth seamless fit. 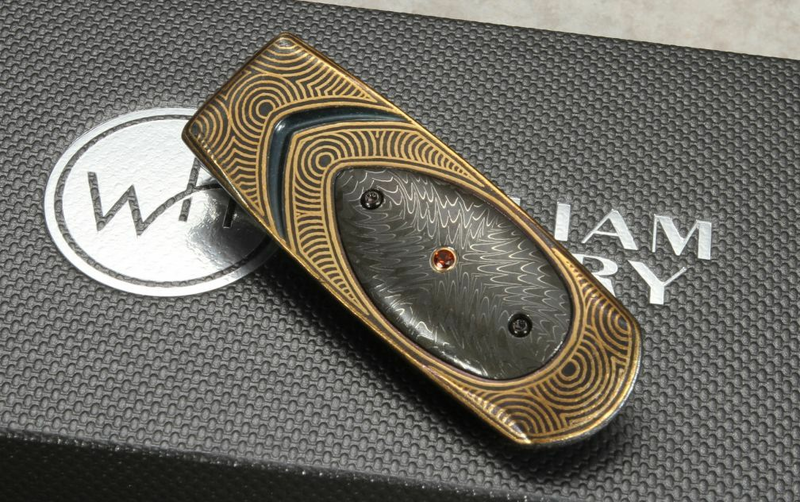 This WH money clip has so much detail, in both the koftgari pattern and the damascus steel pattern. The clip will handle cards or currency securely and easily. Clip portion is tempered stainless steel that has a protective PVD coating. 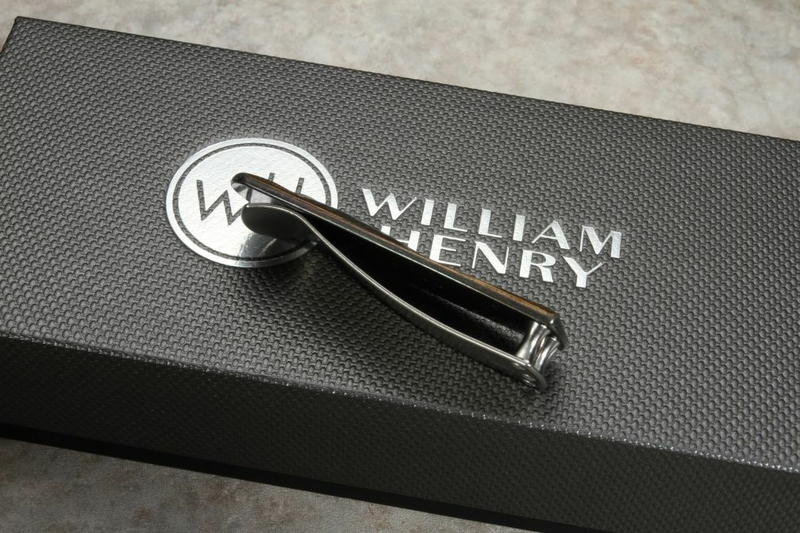 The William Henry clip is completed with a citrine set in gold and titanium screws. Perfect as a presentation or gift, or add this to your every day carry rotation. 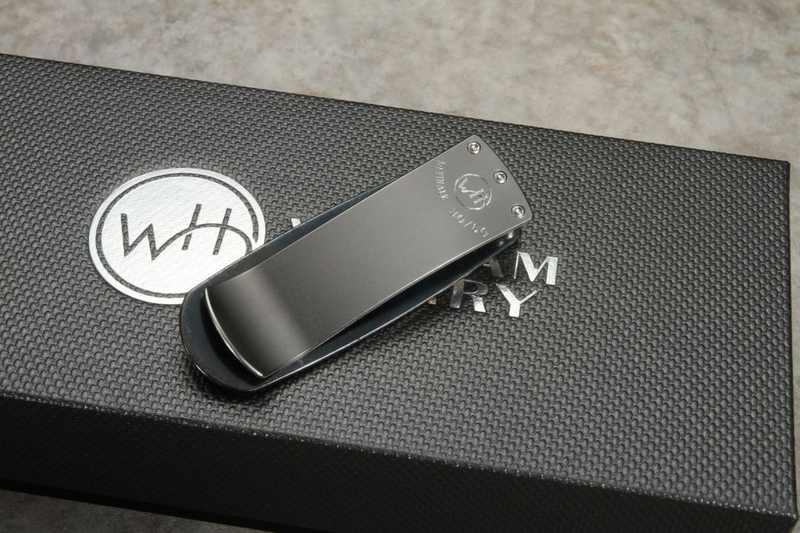 Each M1 Finale is individually numbered and comes with a certificate and an attractive WH box. KnifeArt.com is proud to be an authorized William Henry dealer since 1998.